Hooray! 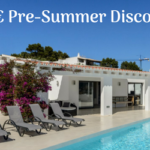 Holiday season has started: for 4 days, enjoy our Celebration Discount on your villa! The new holiday season has officially begun! We believe this is an excellent cause for celebration. Let’s face it: in wintertime, there is nothing more fun than making sunny summer plans! In the next 4 days, we’d like to treat you to a festive discount. This time, however, it’s going to be a little different. 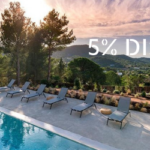 The sooner you book your Club Villamar holiday villa, the higher your benefit will be! With so many fantastic villas to choose from, even the biggest doubter will be able to make a quick decision. Moreover, completing your reservation will only take a minute! 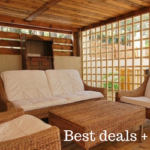 So, put everything aside and take full advantage: find and book your favourite holiday villa with private swimming pool in Spain TODAY and enjoy a €200 Celebration Discount! *This discount promotion shall be valid as defined above. The discount cannot be combined with other promotions. To receive this discount, please enter the code in the comment field of the booking procedure. After that, we will send you the booking confirmation including the valid discount.